On Wednesday, 24th February, 2016, TFEA launched their student Bursary scheme to the very people it is aimed at, young people still at school. In conjunction with the fantastic facilities, the event was held at Basildon’s Woodlands School, which following its refit, was an ideal venue for such an event. Special thanks must go to Nik Taylor and Sarah Stanley at Woodlands, along with their colleagues who did an excellent job in hosting the event. Pupils from Woodlands, James Hornsby and the 6th form college, SEEVIC all attended. It was aimed at those with possible aspirations to go on into the Arts and eventually find work within that field. We had three sessions, two in the morning and one in the afternoon. 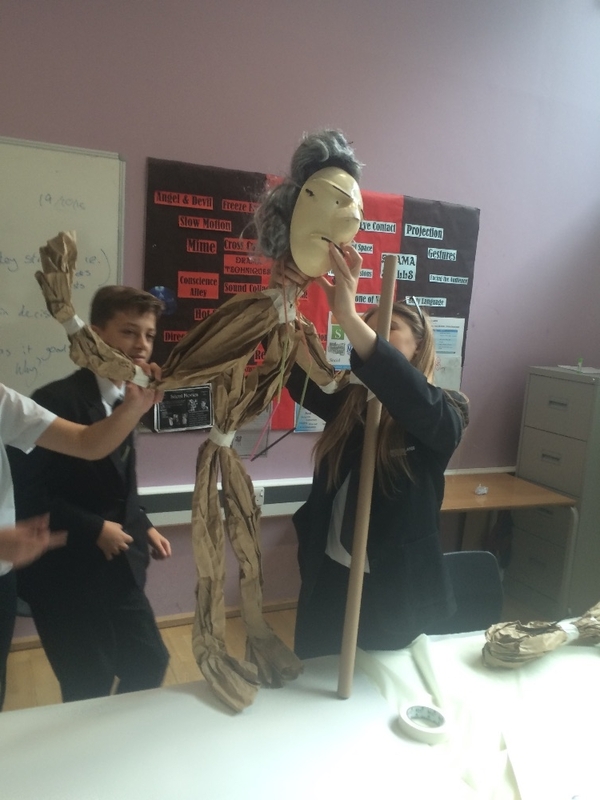 It was gratifying to see the pupils getting along together and participating in the specially organised hands-on workshops that were put on show by representatives of UAL. To have UAL visit Basildon in itself is something of an achievement! UAL lecturers from Fashion & Photography (Karina Pullit) and Architecture (Alaistair Stewart) gave engaging keynote speeches. There is certainly plenty of scope there! We also had several UAL students, who were on hand to give advice and discuss their own courses. On top of that we had a couple of local business people, Carl Brind, who is a successful Pop Artist/Graphic Designer and Carol Weidman, a Glass Sculptor and Jewellery Designer. Both were happy to pass on their experiences as well as enjoying the experience of the day themselves. I have to pay due respect to our final guest speaker, Aden Hynes, who not only is another Basildon local man but gave the afternoon crowd an hilarious talk about his life. Aden is a sculptor who has worked on film sets, with rock bands and appears to have no end to his enthusiasm. 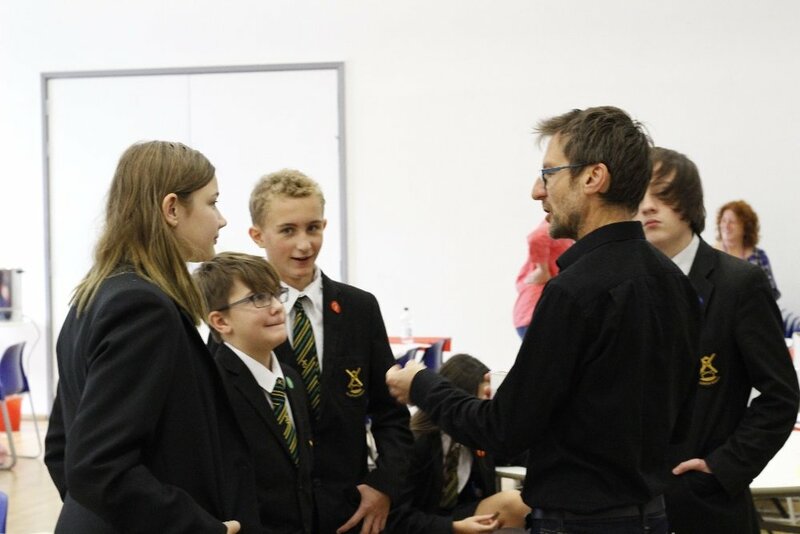 He was truly inspiring and one could see the effect he had on several of the pupils following his talk. Several Essex dignitaries also attended and were also impressed by the days’ events, notably, Cllr John Aldridge Deputy of Essex County Council and Alan Osborn from the Basildon Business Association. Thea local Press were also in attendance and perhaps you would have seen some of the pictures that have appeared subsequently? Lastly I must also thank the staff and pupils of both James Hornsby School and SEEVIC as without them the event would not have run so smoothly.